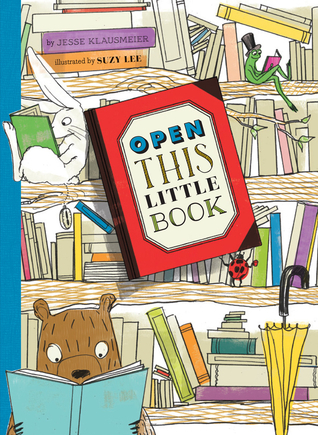 Today, to celebrate World Book Day, I am delighted to welcome Jesse Klausmeier, author of the wonderful Open This Little Book, illustrated by Suzy Lee (see my review here), for an inspiring guest post about how books inspired her from an early age. 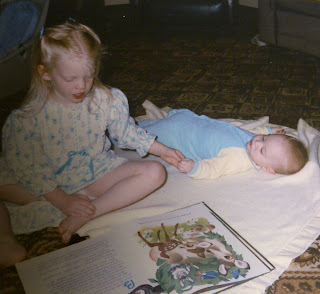 My veneration of books started at a very young age. 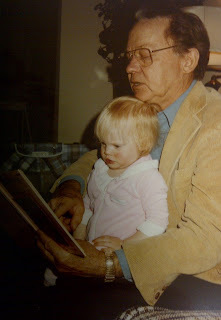 Nestled on the lap of a loved one, I was encircled by their arms and the book they held. With the book in front of me and the comforting presence of a family member behind, I was in a sacred place reserved for reading. The correlation between books and the feeling of safety, adventure and friendship played a key role in my development as a life-long reader. I couldn’t help but share this love of reading with those close to me. When I was five-years-old, I wanted to create a book that never ended. My idea was to make a book about books-inside-of-books. My Grandma Iyla mocked up a book for me and I started writing and drawing. The idea of books within books stuck with me, and 25 years later, Open This Little Book has been published by Chronicle Books and illustrated by the incomparable Suzy Lee. Working with Suzy was a thrilling experience. From our earliest communications it was clear that she and I were on the same page about what we wanted our book to accomplish. Because the text is so sparse, many of the books themes are expressed in Suzy’s incredible illustrations. Open This Little Book is my love letter to books. My greatest hope is that it will encourage young readers to develop a reverence for books and to create their own. 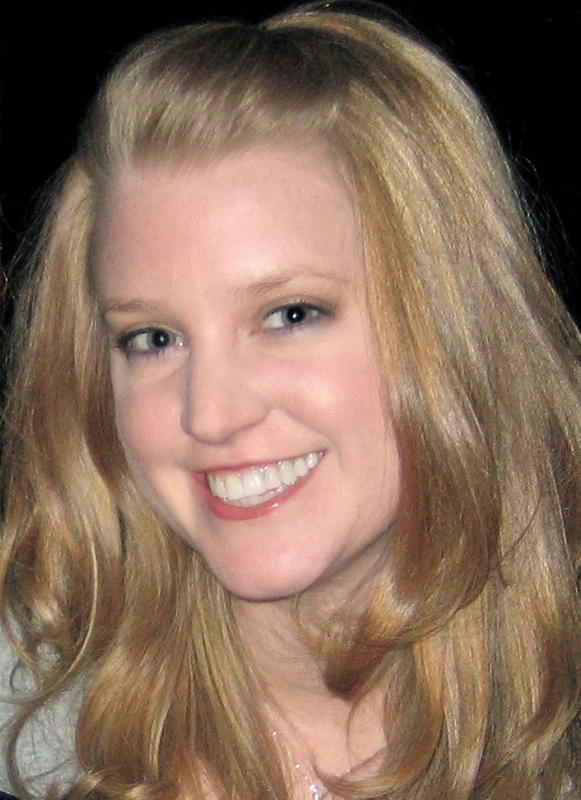 Thank you so much for inviting me to do this guest post, Mélanie. Thank you so much Jesse for such a wonderful post! Having a child at home who is writing stories constantly, it is so inspiring to read the story behind “Open This Little Book”. What an adorable photo that is of Jesse reading to Travis! I just love the whole concept of multiple books within a book. When you are an avid lover of kids lit and the books just go on and on forever….well nothing could be better. Really enjoyed getting some more background on the author.